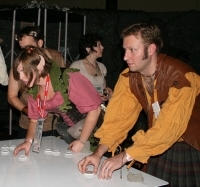 There are 12 different classes to choose from in True Dungeon, and each player must play a different class. 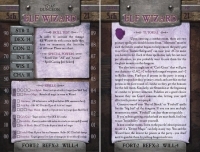 Once character classes are picked each player will receive a full-color printed character class card that they will use throughout the adventure. Players get to keep the card as a souvenir. Most players use the 4th level player Character Cards, but there are magic items that can boost a character to 5th level. Above is what the 5th level Elf Wizard Card looks like. The back of the card has a Tutorial for helpful hints to players. You can see all the Character Card images in the Resources section HERE. You don't roll dice in True Dungeon. It is up to you to succeed! When you attack a monster in a True Dungeon event you will not be rolling a d20 as is the case in Dungeons and Dragons. Rather, instead of luck controlling the fate of your attack, the result of the swing will be determined by your hand and eye coordination! In the world of True Dungeon, magic plays an important role. Wizards are masters of devastating arcane power which they can use to cause massive damage to terrible foes! Clerics, with their divine healing and curative abilities are often the only thing standing between a fellow adventurer and certain death. Druids commune with nature not only to bring forth healing, but to command the elements themselves as mighty weapons. Every player receives at least three Treasure Chips at the conclusion of their adventure. 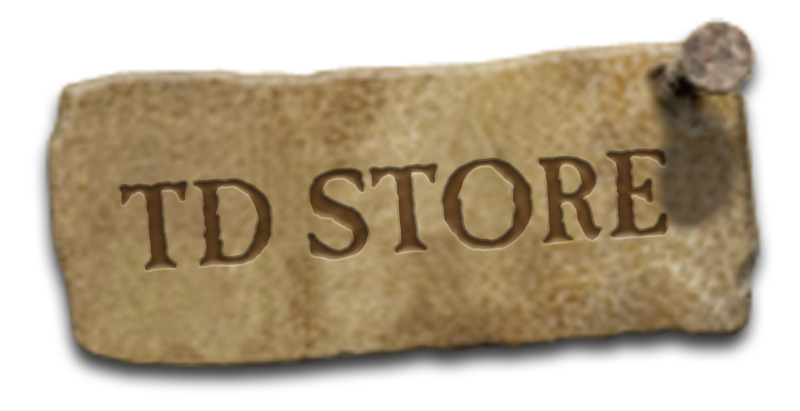 In a special area of the storyscape, a Treasure Chip can be exchanged for a random pull from the Treasure Generator or sometimes exchanged for other cool stuff. Pre-orders are now being accepted through Jan. 15th, 2019. They should be shipped out at the end of January. 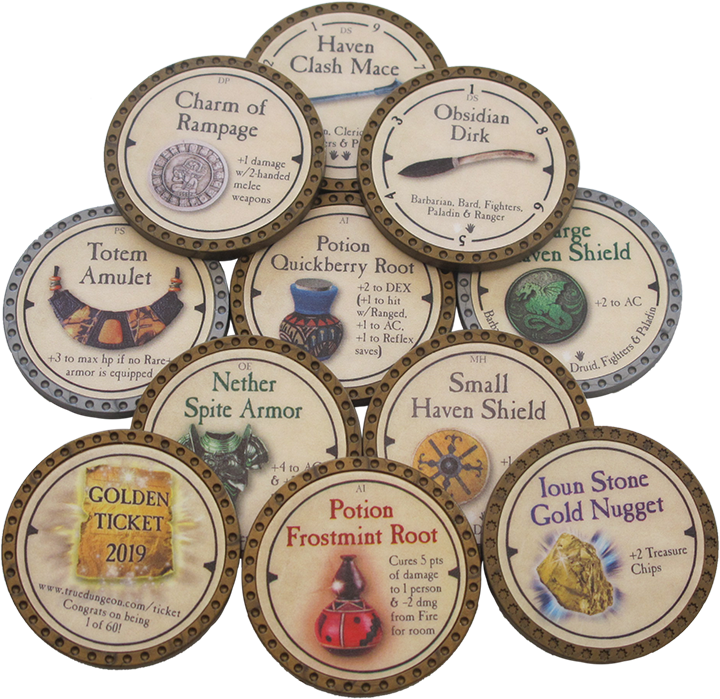 Tokens have become a very popular component of True Dungeon since they were introduced at Gen Con So Cal in 2003. 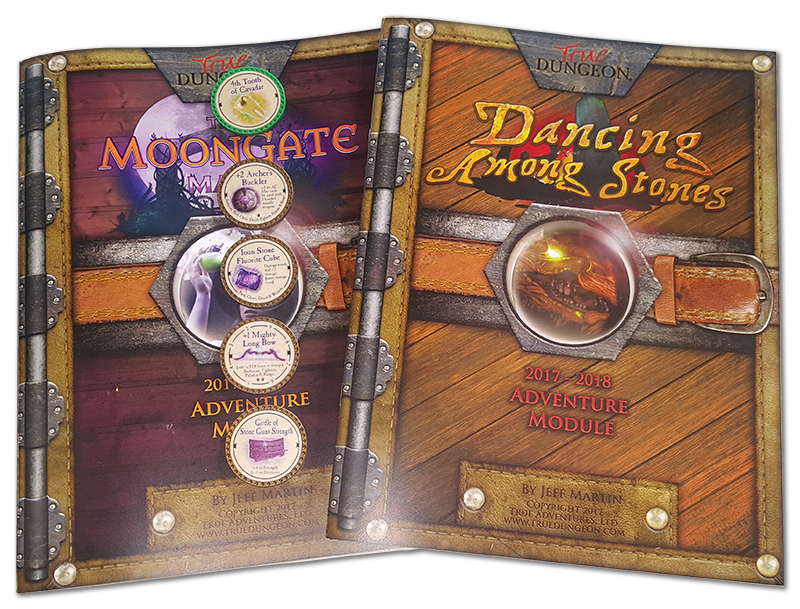 The tokens were added so that players could experience one of the most interesting and fun parts of adventuring—getting treasure! The Treasure Tokens are heavy, and with their "gold" color they have the weight and appearance of a gold piece. 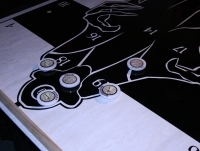 The tokens are VERY durable, water-resistant, and have a special clear laminate that protects the full-color image quite well. Nearly all tokens feature the current year embossed on the back to deter counterfeiting. *1 out of 100 10-packs come with 1 Ultra Rare token in place of one of the Common tokens! 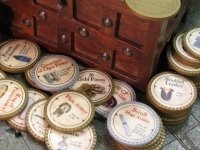 Every player receives a free pack of 10 random Treasure Tokens at the start of their adventure, but players can also purchase tokens online at this website. You can order tokens now by clicking on the STORE tab or by clicking on the TD STORE graphic below. Some players have become collectors and trade tokens throughout the year on the TD Forums. Below are the images of the 140 tokens in the 2019 Treasure Token Collection. You can see higher resolution images of the tokens at the very bottom of this page in the Image Gallery. You can find out vital info on the 2019 Treasure Token Collection by reading our free "Quick Token Reference" which is now available for DOWNLOAD HERE. High resolution images can be found in the Image Gallery at the bottom of this page. While viewing on a PC or tablet be sure to click on the "two diagonal arrows" icon to zoom into the image. NOTE: With each $250+ token purchase, you can pick one of the above 2019 Ultra Rare tokens to be included in your order for FREE. You can also select from any 2018 Ultra Rare--which can be viewed HERE. Multiples of $250 token purchases apply, so if you place a $500 order, you get to pick TWO FREE Ultra Rares tokens. Multiple sub-$250 orders may not be combined to achieve the $250 free Ultra Rare premium. There is a special screen that appears during checkout to use to tell us which UR tokens you wish to pick. We have created a fun system that you can use to craft limited-edition tokens with your unused and left-over tokens. Larger images of the 2019 Transmuted tokens can be found in the Image Gallery at the bottom of the page. 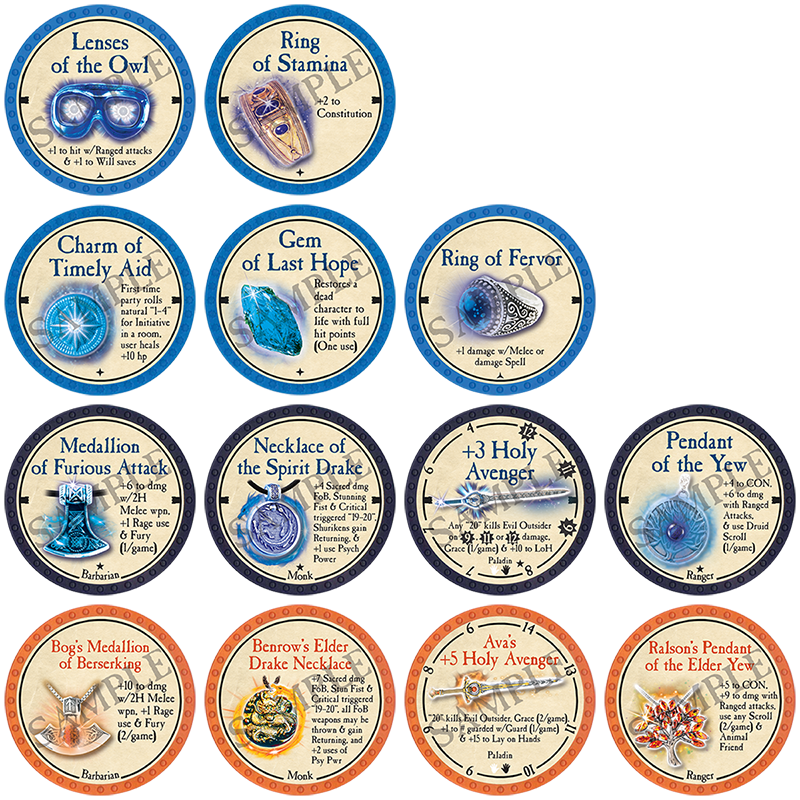 The 2019 Transmuted tokens will be available to transmute on our website starting March 1st, 2019. 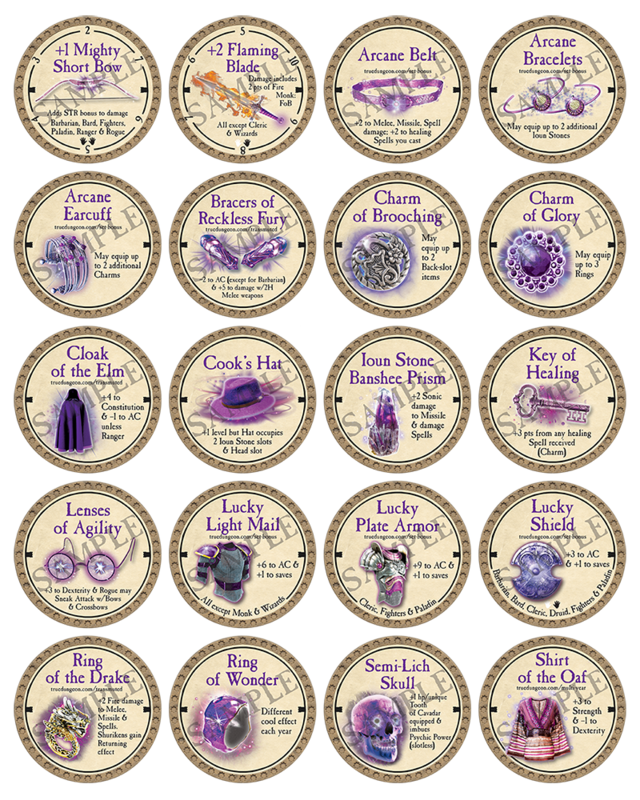 Complete information about our limited-edition Transmuted Tokens can be found HERE. Please Note: Due to a "disagreement" between the Enchanters Guild and the Metallurgists Guild, Canteens of Quaffing are in limited supply. We have been forced to impose a limit of 5 Canteen of Quaffing transmute requests per order. We are taking PRE-ORDERS for Treasure Tokens from Nov. 1st, 2018 to Jan. 15th, 2019. All pre-orders made during this time period should be shipped out by the end of January. You can qualify for some extra FREE goodies if you pre-order. GOOD! - Place a $250-$750 pre-order by Jan. 15th and you will receive one FREE Treasure Chip for every $250 in pre-orders placed. BETTER! - Place a $1,000+ pre-order by Jan. 15th and you will receive two FREE 3× Treasure Chips (that's a total of 6 draws) for every $1,000 in pre-orders placed. BEST! 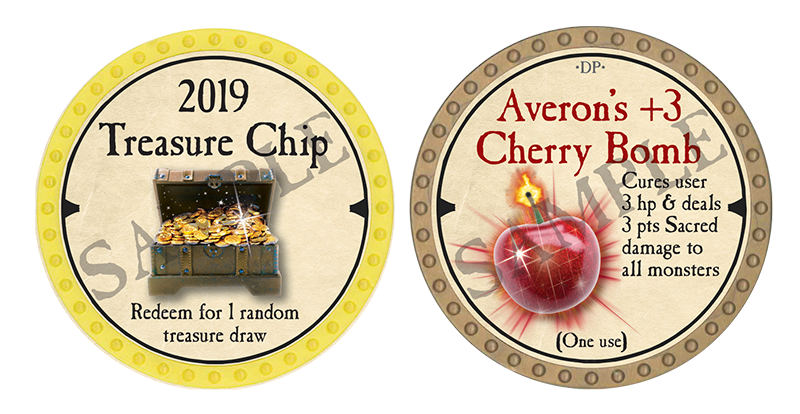 - In addition to the goodies above, for every $250 in pre-orders placed in the month of November, you will receive a FREE Averon's +3 Cherry Bomb Treasure Token. This token was designed by our 12-year-old daughter, and it continues her cherry-themed token series started last year. Four (4) FREE Ultra Rare tokens of your choice from either the 2019 or 2018 print runs--mix & match as you like. One (1) 5th Tooth of Cavadar Ultra Rare token--5th part of a 7-year story arc Transmuted token! This token is needed to give your character better and better psychic powers. More info HERE. Eight (8) FREE Ultra Rare tokens of your choice from either the 2019 or 2018 print runs--mix & match as you like. Two (2) 5th Tooth of Cavadar Ultra Rare tokens--5th part of a 7-year story arc Transmuted token! This token is needed to give your character better and better psychic powers. More info HERE. 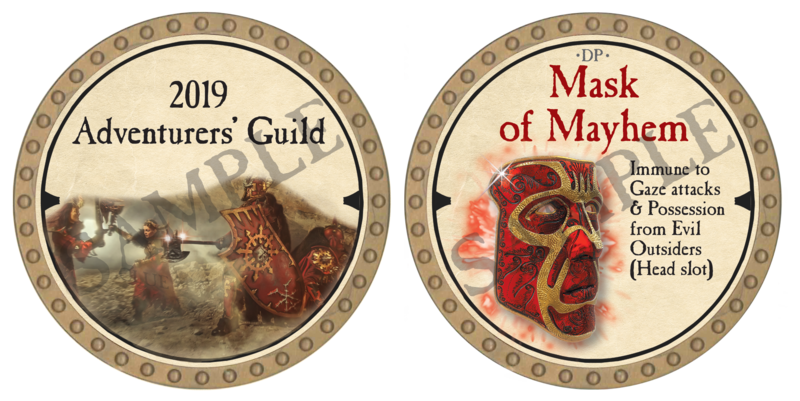 One (1) limited-edition Mask of Mayhem token only available to AG members. This is shipped with your token order. One (1) limited-edition Adventurers' Guild token. An AG token is a nice keepsake token that has no in-game function. One (1) limited-edition Adventurers' Guild membership button. 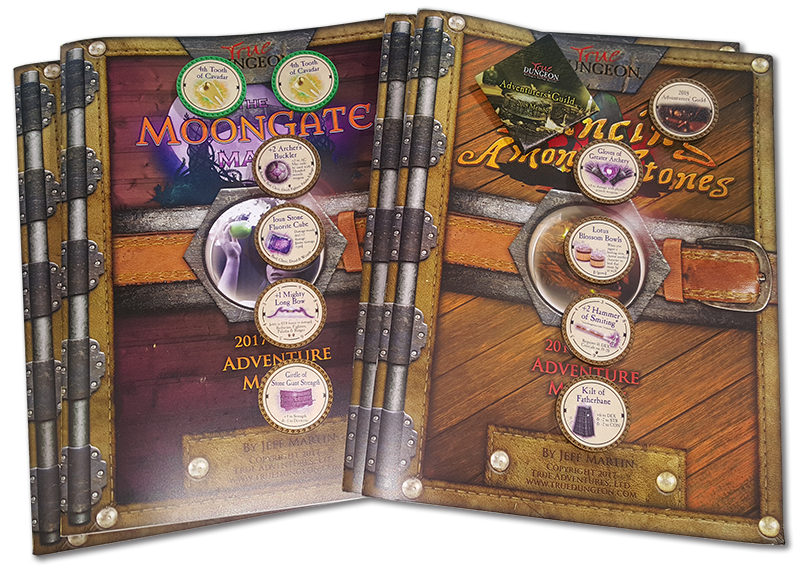 Each person wearing an AG button receives access to the exclusive “Adventurers’ Guild” bag check service at Gen Con and Gamehole Con. You can leave one item at the Bag Check for free with each AG button. Only Adventurers' Guild members will have access to this service. Each AG member will have priority purchasing rights to event tickets at Origins Game Fair in mid-June in Columbus, OH. AG members will be able to purchase event tickets a day before event tickets go on sale to the general public. For a complete list of all the exciting events we have going on at Origins Game Fair please click the Upcoming Events tab. 32 FREE 2019 or 2018 Ultra Rare tokens of your choice. Eight (8) 5th Tooth of Cavadar Ultra Rare tokens--5th part of a 7-year story arc Transmuted token! This token is needed to give your character better and better psychic powers. More info HERE. A "proof" set of Onyx tokens of the 2019 Common, Uncommon and Rare (but no Ultra Rare) tokens. Your free Onyx Set will ship within a few business days of you placing your pre-order. One (1) über-rare Wish Ring immediately sent with your order. One (1) über-rare Orb of Dragonkind (Elder Serpent) token. 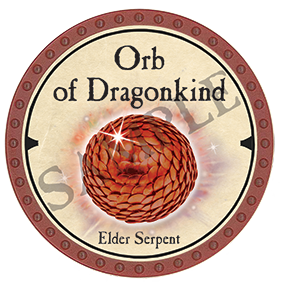 There will be a different Dragonkind token made each year from 2015-2022, and all eight can be transmuted in 2022 into the Supreme Orb of Dragonkind. A Grand Orb of Dragonkind (requiring only 5 different tokens) can also be made at that time. The details of each what benefits these transmuted tokens bestow are shrouded in mystery at this time. One (1) über-rare Patron Lapel Pin which will allow you to enjoy the TD Patron benefits and events at Origins Game Fair. We are still planning the event, but we will try to present an event that only Patron's can play. Additionally, True Hoard will return--plus some new fun! Additionally, Patrons will have the first chance to buy event tickets at Origins where SIX new Participation Tokens will be handed out. More info to come! Four (4) Limited-edition Adventurers’ Guild entrance buttons. Each person wearing an AG button receives access to the exclusive Adventurers’ Guild bag check service at Gen Con and Gamehole Con. You can leave one item at the Bag Check for free with each AG button. Only Adventurers' Guild members will have access to this service. 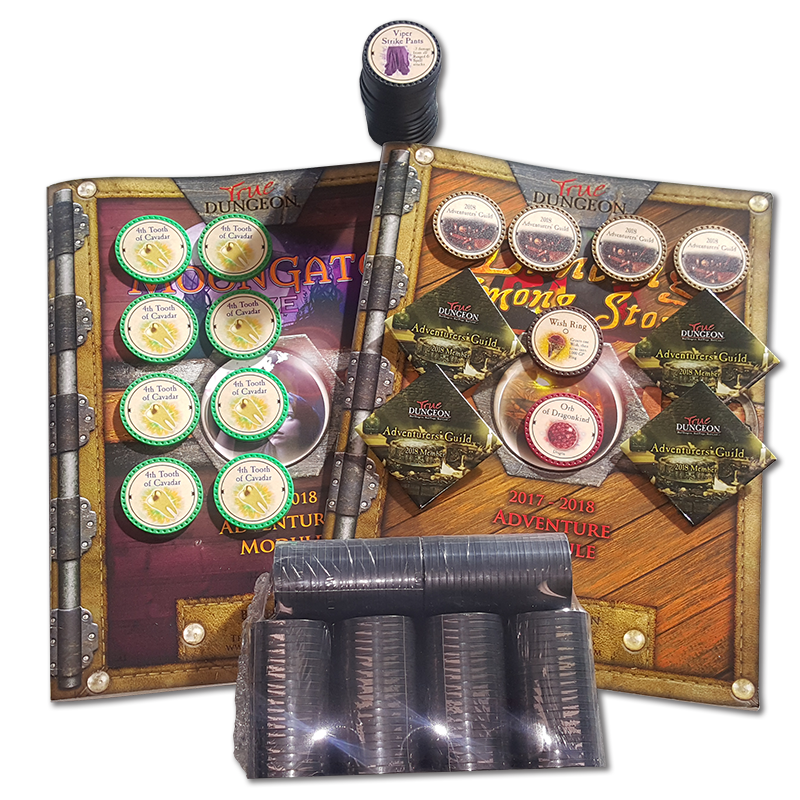 Four (4) Limited-edition Rare Treasure Tokens only available to AG member. This is shipped with your token order. Four (4) Limited-edition Adventurers’ Guild tokens. An AG token is a nice keepsake token that has no in-game function. The same as Option #1, but instead you may select 16 Ultra Rare tokens from 2019 or 2018 (instead of 32 as with Option #1), but you will ALSO receive a complete set of the 20 different 2019 Onyx UR tokens along with your token order in February. Your free Onyx Set will ship within a few business days of you placing your pre-order--so you could have a complete Onyx set of all tokens in the collection in a short time. The same as Option #1, but instead of receiving any Onyx tokens, you gain the ability to select two more Ultra Rare tokens for free during check out. CLICK HERE to Order Tokens! 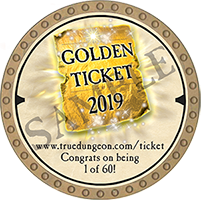 We are randomly inserting 60 special Golden Ticket tokens (up from 40 in 2018) into the 2019 token collection. Instead of a Common token, you may get one of these uber-cool tokens in your 10-pack. Details for the Golden Ticket Event can be found at the URL printed on the token. 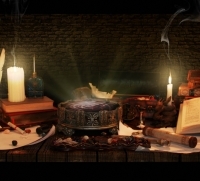 You will also get a host of extra goodies which include a completely awesome pack of uber-rare and powerful tokens and an exclusive GT-only surprise inside your True Dungeon adventure. On March 20th, 2019, we will hold a special drawing from the names of all the 2019 token buyers to date. Ten lucky token buyers will win. Each winner can "pre-buy" up to 10 tickets at Gen Con (from one slot) before anyone else! Winners will be contacted on March. 20th and have until March 25th to pick their event slot (and pay for the tickets). If we do not hear back from a winner by March 25th, then another name will be drawn. True Dungeon event tickets go on sale for everyone in May. For every 10-pack you buy, we put your name in the virtual hat. Winners are guaranteed to get the exact slot they want without having to worry about the crazy time during event registration. You still must buy the tickets at the normal price. REMEMBER: The more tokens you buy, the greater your chance of winning! 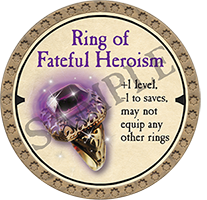 The Ring of Fateful Heroism token raises your character from 4th-level to 5th-level. This is an easy way to get a level boost without having to equip multiple tokens. The Kilt of Barrelbane (2019 Ultra Rare) token is the third token in a three-year Eldritch-item Transmutable set. 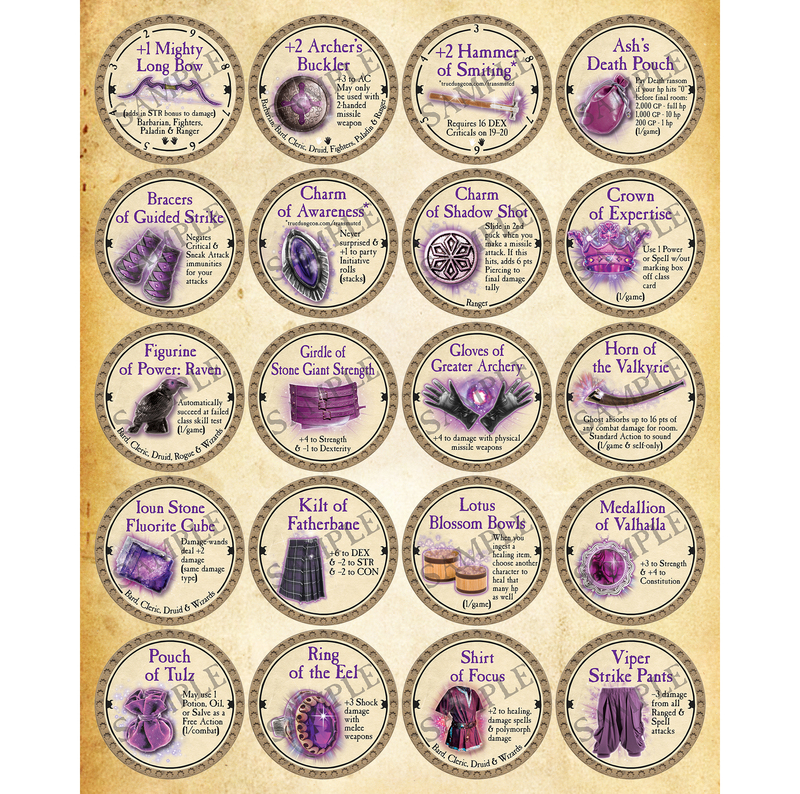 When you have all three "Bane Kilts" collected (in 2019), you can transmute them into the "Kilt of Dungeonbane" token which will grant your character the powers listed on the token. Both tokens are shown below. Some token collectors don't want to spend a lot of time opening hundreds of 10-packs of tokens. They asked if we could make a condensed version available that would look like what 120 10-packs would look like AFTER the Common tokens were turned in for Trade tokens. Condensed packs save collectors the hassle of opening up all those 10-packs, sorting them, and then sending them off to be exchanged for Trade tokens. During the Check Out process, there will be a text box available for giving us notes. In that text box, please indicate (in $1,000 increments) how much of your order should be in condensed form. *Golden Ticket: The chance to get a Golden Ticket will be the same exact chance you would have with a regular token purchase. The proper amount of Golden Tickets will be randomly placed among the $1k Condensed Packs. Beginning with the 2019 print run, Condensed Packs are available year-round--in $1,000 increments. Some collectors live overseas and/or have a limited amount of time to convert Uncommon and Rare tokens to Trade Tokens. Some of these folks have requested that we go ahead and transmute their Common (like with Condensed Packs) as well as their Uncommon and Rare tokens into their base Trade Tokens. To meet this need, we now make available the $8k Super Condensed Pack. To select this option, please select the version of the $8k Onyx Set you wish to purchase, begin the check out process, and then tell us (in the text box that appears during check out) you want the "Super Condensed" version of your $8k order. One (1) über-rare Orb of Dragonkind (Elder Serpent) token. *Golden Ticket: The chance to get a Golden Ticket will be the same exact chance you would have with a regular token purchase. The proper amount of Golden Tickets will be randomly placed among the $8k Super Condensed Packs. We are randomly inserting 60 special Golden Ticket tokens into the 2019 token collection. If you have found one of these special tokens inside one of our 10-packs congratulations! 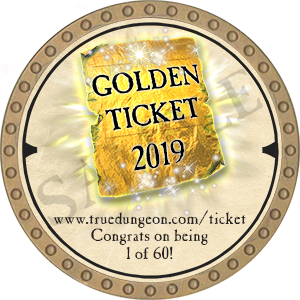 Please bring your Golden Ticket token to the True Dungeon event outside Exhibit Hall 2 at the Lucas Oil Stadium and present the token inside the appropriate event start Inn inside the storyscape at 7:00pm on Wednesday, July 31st, 2019. You will then go to your private Coaching Room where your "event start time" will offically be either 7:00, 7:01, 7:02, 7:12, 7:13, or 7:14 (depending on your adventure chosen at the link below). You can chose from one of the three epic adventures (E1, E2 or E3). 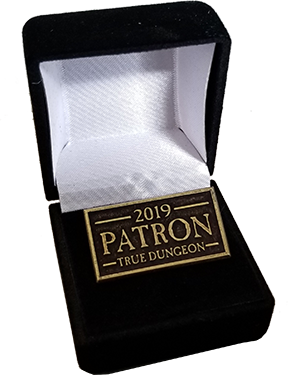 You will also receive a limited edition, custom printed dice bag that will contain many hard-to-obtain 2019 tokens. Please go to the official TD Forums and let your fellow Golden Ticket winners that you are ready for adventure! Teams are being formed now HERE. The True Dungeon module that you will be running through at GenCon has a long evolutionary track that started in 1997, when Dungeon Master Jeff Martin decided to host an all weekend game-a-thon with five of his gamer buddies.